As an appetizer for my Piemonte-themed evening I decided to make bagna càuda. 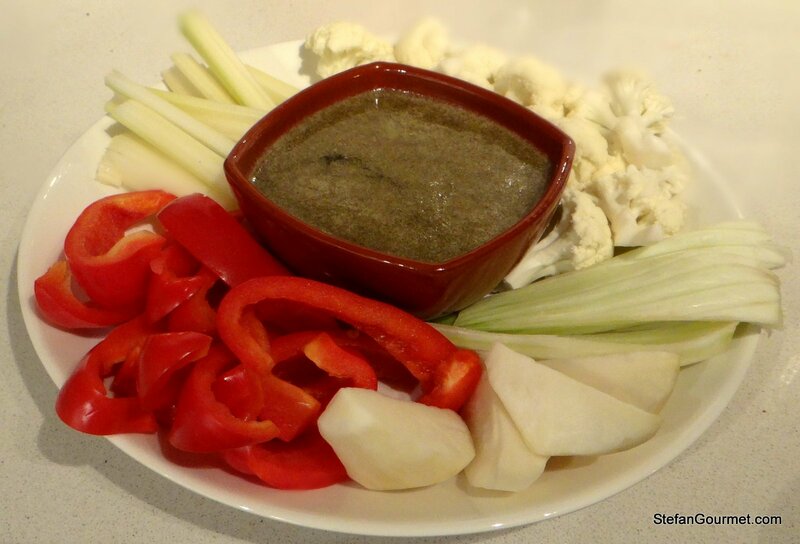 This is a hot dip sauce made with olive oil, anchovies, and garlic and served with raw or cooked vegetables to dip. 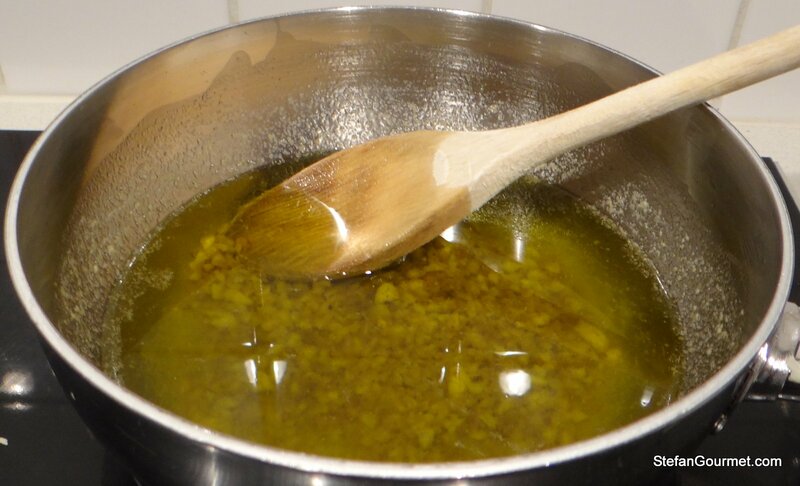 There are many varieties, with a lot of them including butter besides olive oil or even milk or cream. Also the vegetables used are endless. Peel the garlic and remove the green center. Mince the garlic very fine. 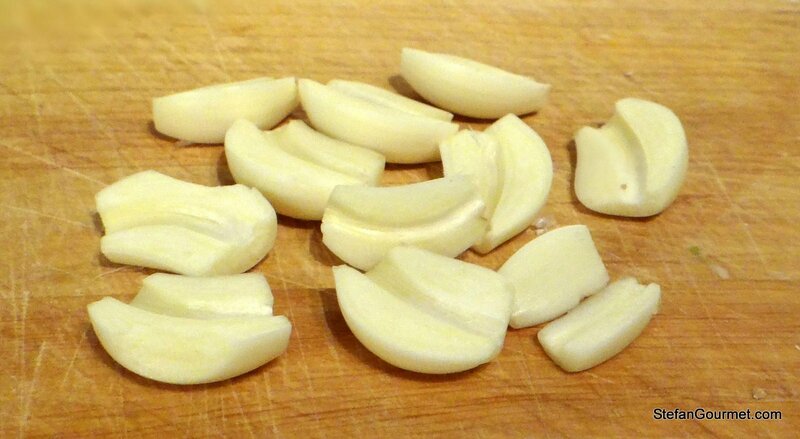 Many recipes require a whole bulb of garlic per person! 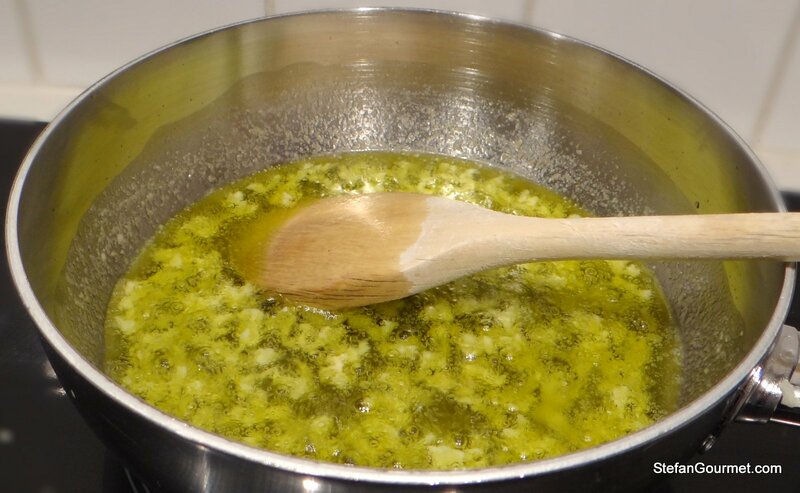 Heat the oil and add the garlic. Cook over medium heat until the garlic starts to turn slightly golden. 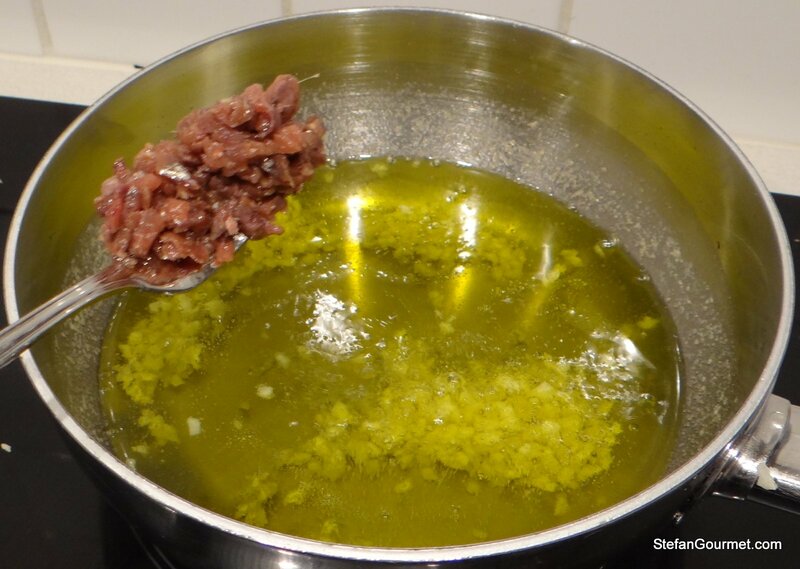 Lower the heat and add minced anchovies. Cook this over low heat until the garlic and anchovies have melted. 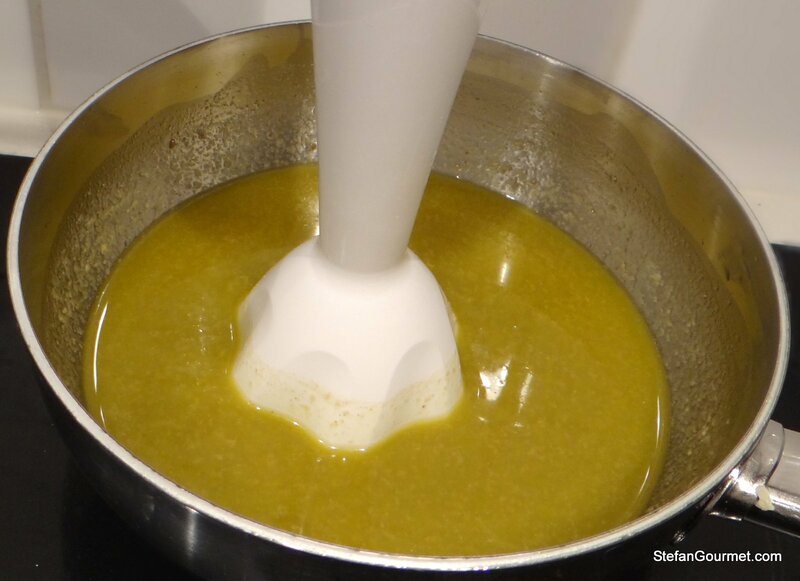 Serve the bagna cauda in a fujot or something else to keep it warm, with the vegetables that have been cleaned and sliced in bite size pieces. The tasting during the serata piemontese showed that we liked the cauliflower best with a white wine from Piemonte called Erbaluce, and the bell pepper best with a red wide from Piemonte called Dolcetto di Dogliano. It is not a coincidence that the color of the vegetable coincides with the color of the wine, as color and flavor often go together. 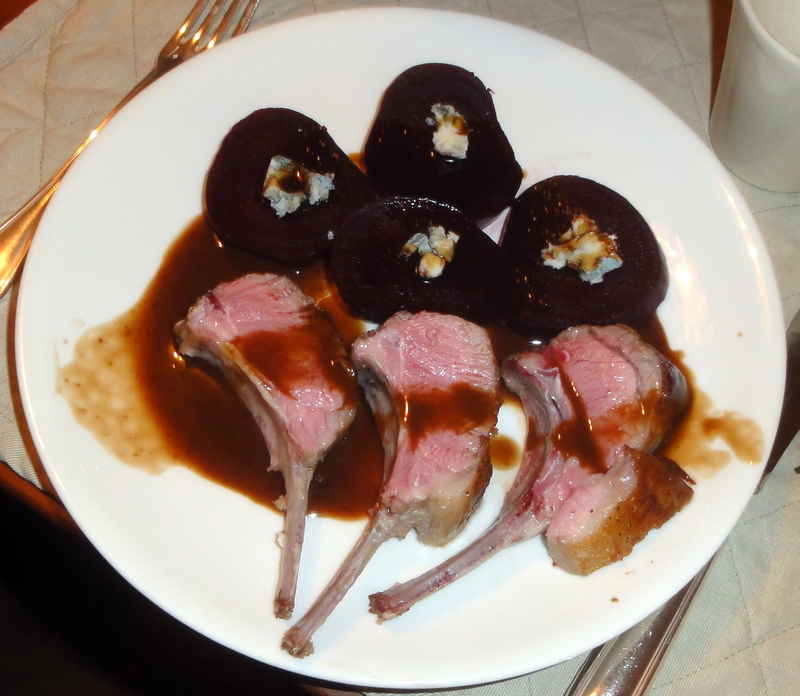 Two years ago on December 1 I posted about sous-vide rack of lamb. Again the photography leaves a lot to be desired, but you can see very well how beautifully pink the lamb was. Rack of lamb is one of my favorite meats, and cooked sous-vide it is always perfectly medium rare right to the very edge of the meat without any overcooked meat. I could drink this stuff! But I’ve never made it. I love the vegetable-wine pairings! Thanks, Shanna. The inspiration was that I had a lot of wine from Piemonte in my collection, and decided that my next themed dinner for friends (two nights with 16 friends each, actually) would be about Piemonte. 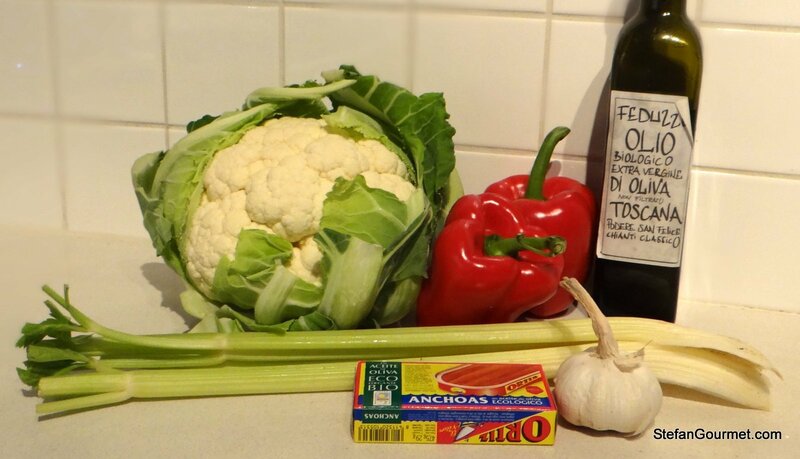 I had never made Bagna Cauda before, but it is one of the most famous appetizers from Piemonte. We certainly enjoyed this! 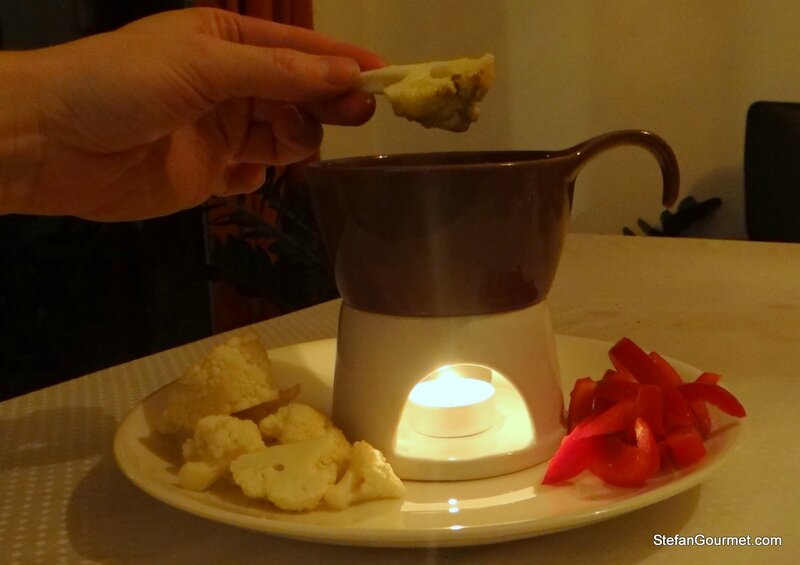 Piemonte is my second home and I often eat Bagna Cauda, so it’s beautiful for me to discover this dish in your blog! This is indeed a true Piedmont dish! unfortunately I have bad experiences 😉 some people have that with tequila or red bull – my vice happens to be Bagna Cauda. But other than that I LOVE the entire rest of the Piedmont kitchen! I’ve tried it with bell pepper dipped in bagna cauda, and that was a winner. For cauliflower dipped in bagna cauda we preferred a white wine like gavi di gavi, arneis, or erbaluce (to stay within Piemonte).